Darling readers, have you noticed? It’s SPRING. That’s right it’s starting to get warmer, the flowers are blooming, pollen is wreaking havoc with allergy sufferers everywhere. Ah, yes one of my favorite times of year! I’m delighted that my post today is going to fit RIGHT in with this Spring feeling! 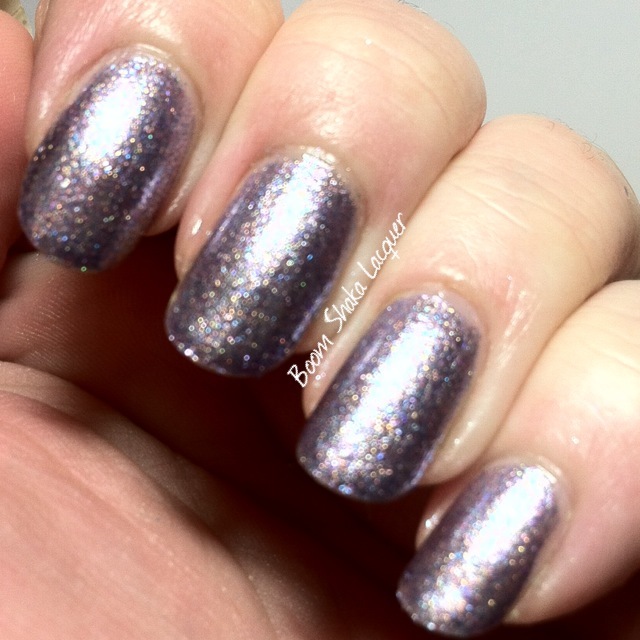 I have a beautiful glitter topper duo to share with you! I recently won a giveaway celebrating the 1 year anniversary of Emerald & Ash. An indie polish company that clearly thinks about every little detail, I’ll share more about that later. 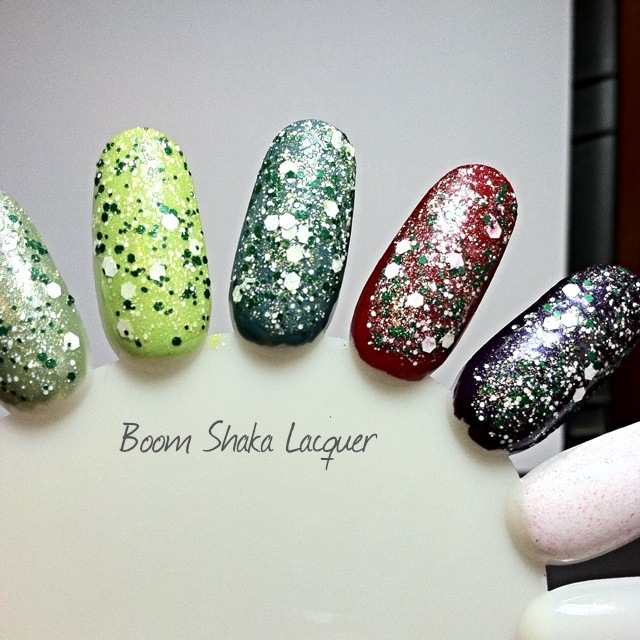 These are my first Emerald & Ash polishes but I have a sneaky suspicion that they aren’t going to be my last! First up allow me to introduce you to Deconstructed Daisy. I was so excited to win because Daisies are HANDS DOWN my favorite flower of all time, as evidenced by my cute little daisy tattoo. Look look look!! It’s like a daisy explosion. 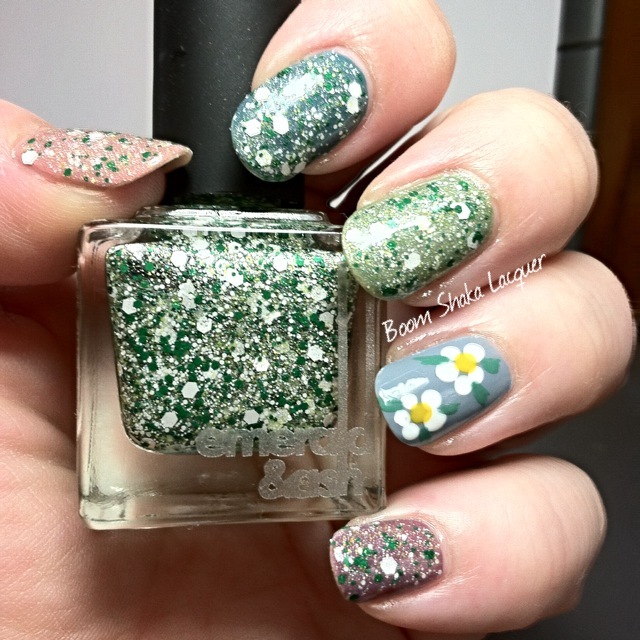 Really, I would have instantly thought of daisies even if I didn’t know what this polish was named. 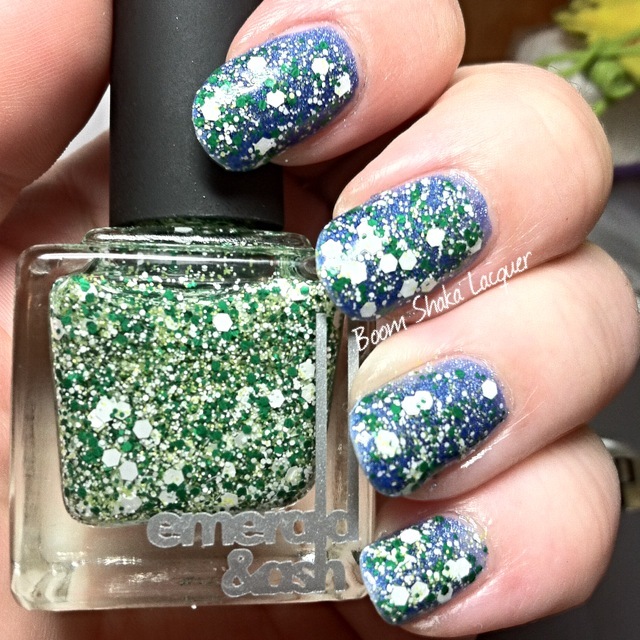 This clear-based glitter topper is filled to the brim with matte white and emerald hexes and microglitter in various sizes along with yellow microglitter that so perfectly represents pollen! 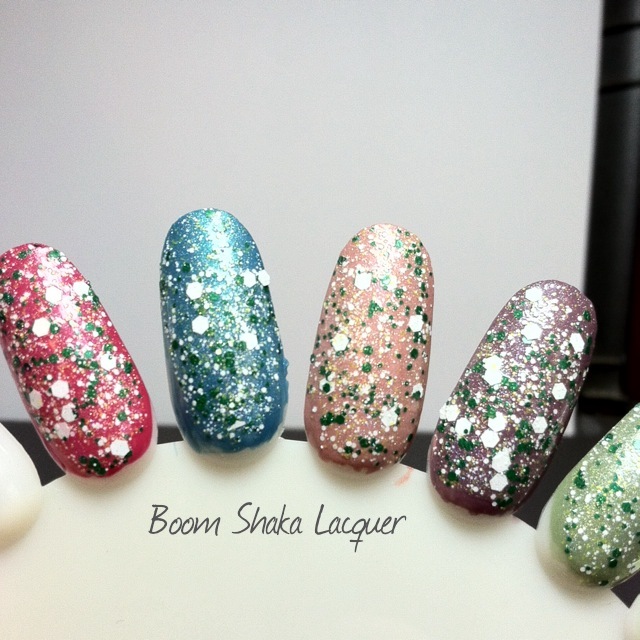 Formula…let me tell you, I’ve said before that a glitter topper was easy to work with, and I meant it. Trouble is that I find glitter toppers in general easy to work with because I am experienced with them, I know that novice polishers might have a little trouble here and there. They would not have trouble with this one. Picture shows one coat over undies. ONE COAT. 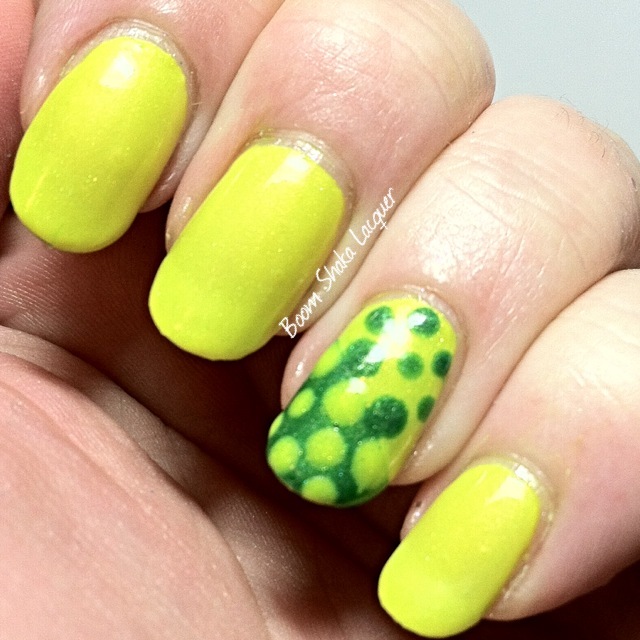 I did push around some of the larger white hexes (they wanted to hang out together on the nail) but it was not difficult and I just did it with the polish brush. Honestly, very little manipulation at all was necessary. Next up is the fraternal twin of this polish! 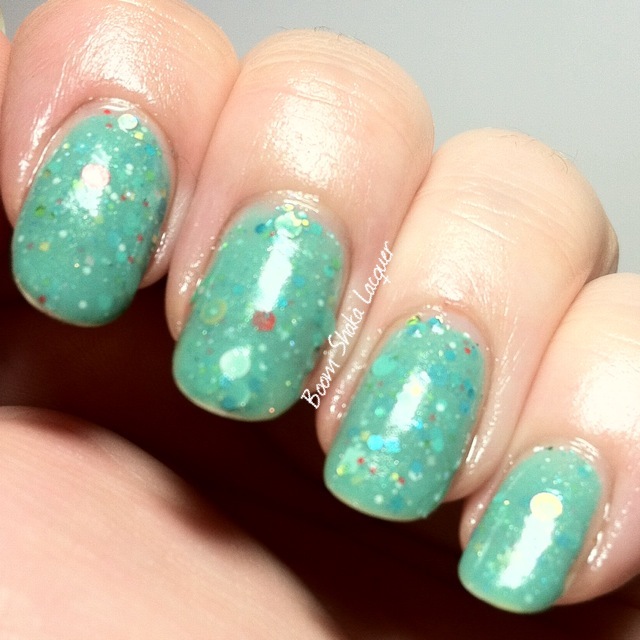 It is ALMOST the same polish, exept that it’s been given a little dressing up in order to celebrate Emerald & Ash’s first anniversary! Ok rather than blah blah say the same thing about this polish because they are extremely close I’m going to share some thoughts about this. 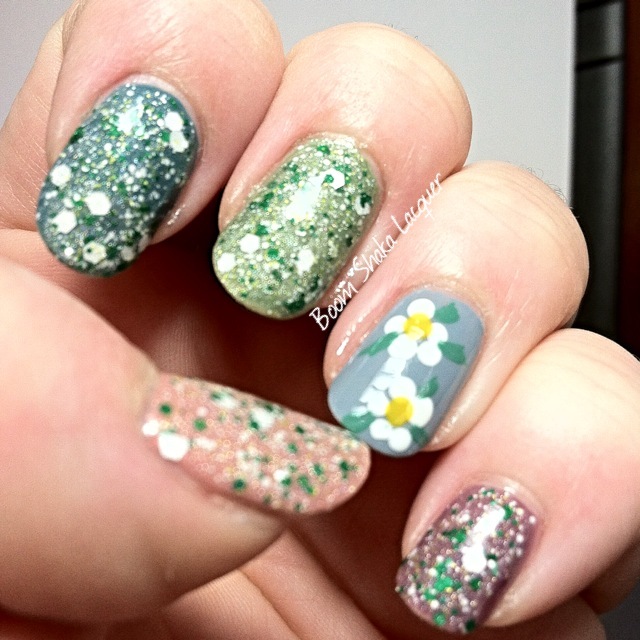 This version is the same as Deconstructed Daisy but with the added bonus of some holographic shimmer! It just adds that touch of something special to make it more festive! Both of them do dry with a glitter texture and need a glitter smoothing top coat to even things out but that’s pretty standard. Second, if you can get both, get both. This is probably the only polish I have ever received that once I put it on I realized I was heartily glad that I had a “backup” bottle. Now for run of the mill manis I can use my Deconstructed Daisy and save my Deconstructed Daisy LE Holo Edition for special stuffs! I have never felt the urge or need to have a “backup” bottle. This is one that I do think I need both! Look there’s a sneaky peak of my thumb so you can see I used a different undie for every nail. Look how wonderful it looks over all of them! I actually tested it over 9 different polishes on a nail wheel before deciding which to use for my skittle mani. 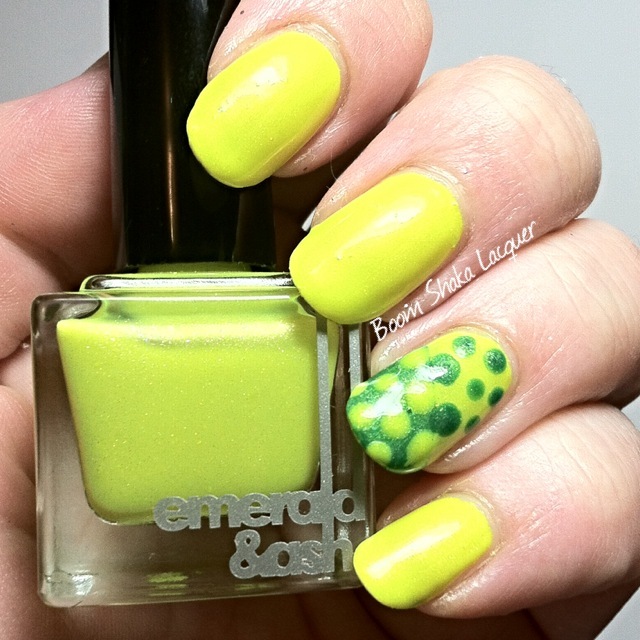 The versatility on this polish is amazing. 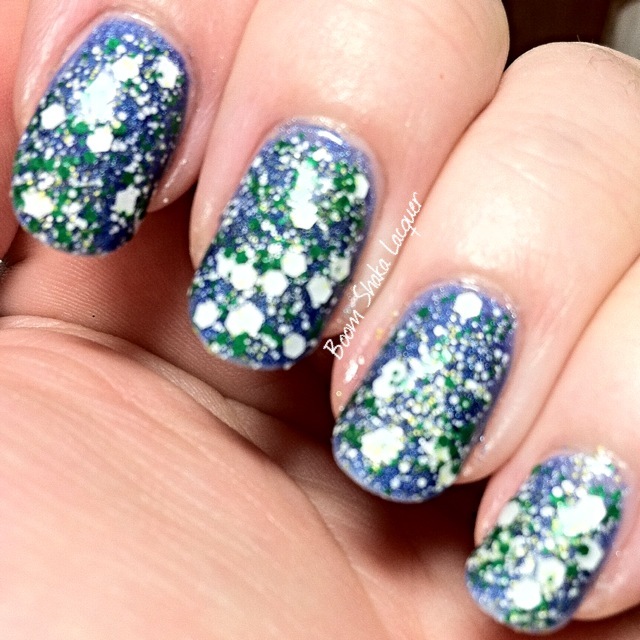 I would not have expected a VERY white and green and yellow glitter topper to look good over so many different colors! 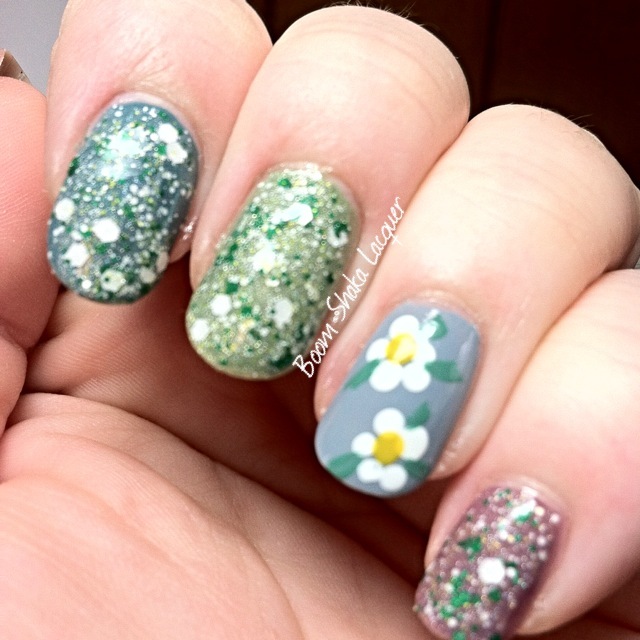 I also dressed up my accent nail with some little dot daisies and added some little leaves. Another couple of things before I wrap up and provide you with all the store and stalker links you will ever need to get your own Emerald & Ash goodies. My prize came with a bottle of Daisy cuticle oil. This stuff is AMAZING. I don’t generally rave about or review cuticle oils because, well, to me they are mostly the same. This one though is different than most I’ve used. The oil soaks in quickly but is moisturizing and it smells divine! A lot of oils just sit on my skin and make a mess but this one is just great! Emerald & Ash have a HUGE library of scents that you can choose from, and I think they will even do unscented if you prefer. Second, the packaging. Again, something I don’t really talk a lot about. 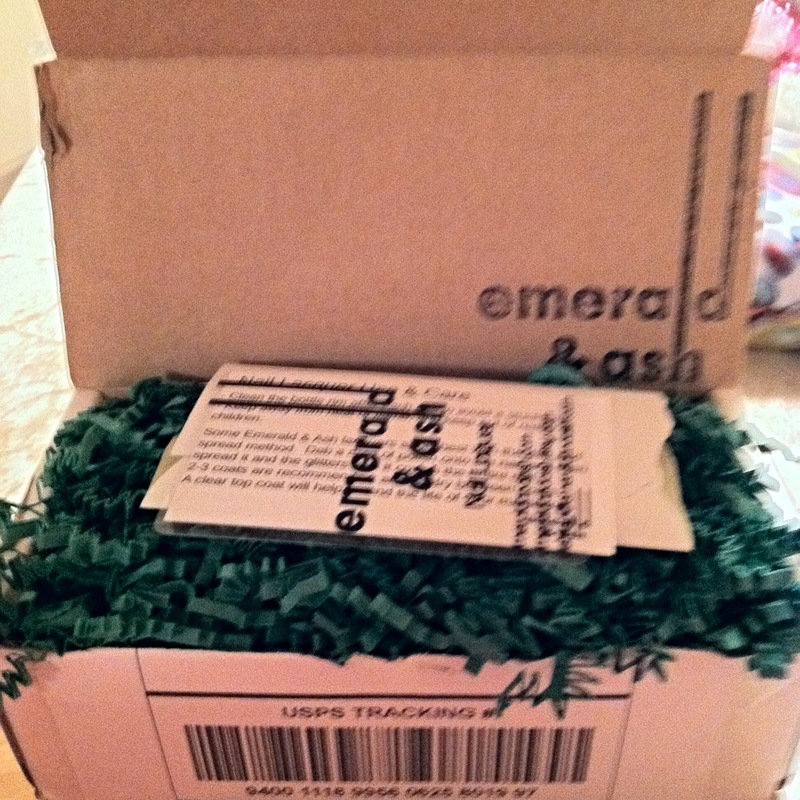 I checked with a friend of mine who is familiar with Emerald & Ash and she confirmed that this level of care with packaging is the standard and not the exception. I really felt like I was opening a high end present! 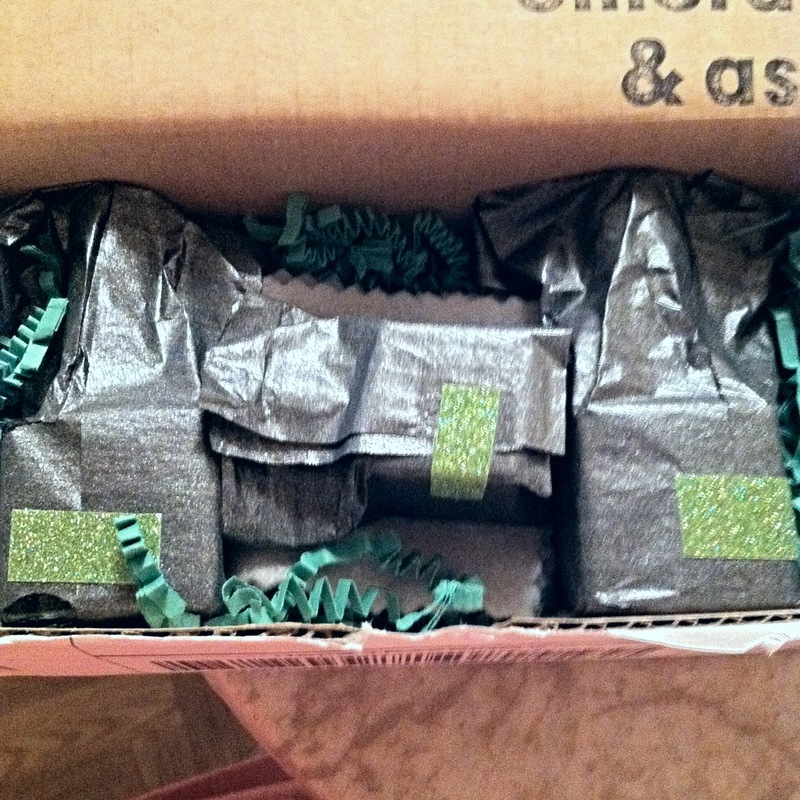 Everything was packaged with so much care and attention to detail. They even include a little stack of felt squares for polish removal (So cool! How have I missed the boat on felt for removal? I may be a convert!). Not to mention the bottles are heavy and I really like the cap and brushes as well and they really lend to that high-end feel, even the logo on the bottles is perfectly suited. I think it really shows the level of care that these makers put into their product and their business! I really appreciated the feeling of opening a gift and there are only a few indies out there that I know of who make me feel that way and E&A is one of them! So by now you’re biting at the bit and ready to go and stock up on a bunch of wonderful smelling cuticle oil and pretty polishes right? I know I’m right! 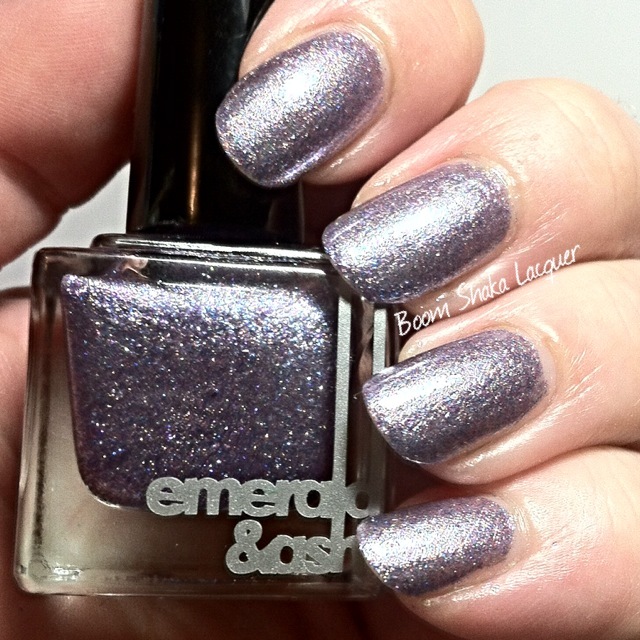 So you can find Emerald & Ash for sale at their online shop. You can also follow them on Facebook and Instagram to keep up to date on all the news and happenings. It looks like they are also on Twitter and Google + If you prefer those social media formats! 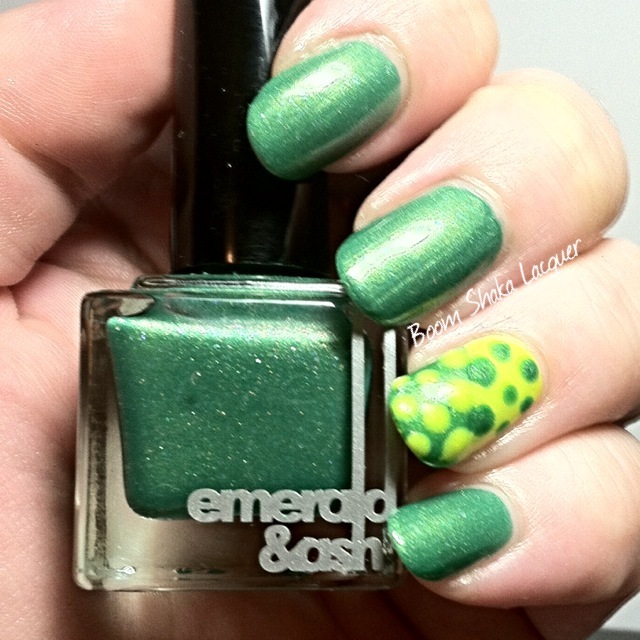 I already have my eye on the next Emerald & Ash polishes that are going to be making their way to my doorstep!